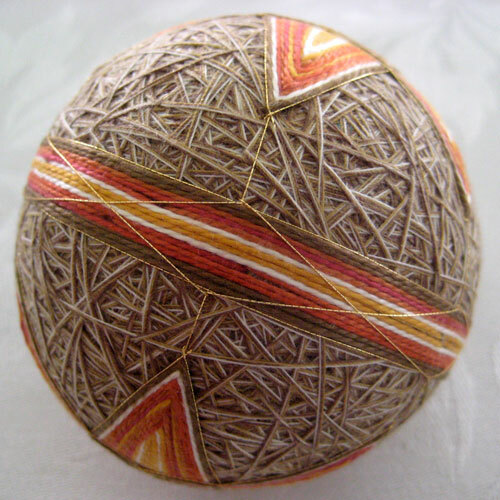 The "Long Life" pattern from Barbara Suess' Japanese Temari book. 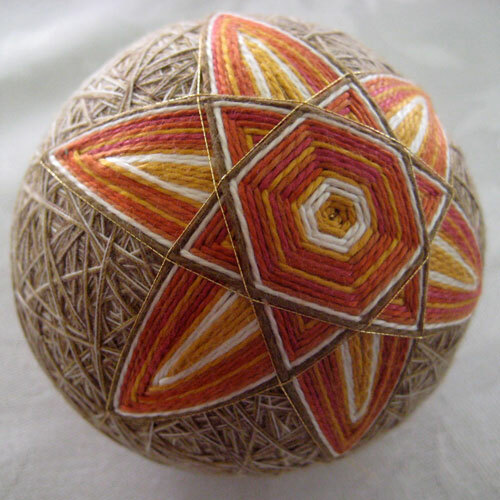 The hexagon pattern calls to mind a turtle shell, but I also liked the hidden Star of David in the pattern. This was a wedding gift for Elizabeth and Dan, completed in August 2009 (while in Vermont at their wedding).